WRAP is a 501(c)(3) charity devoted to the rescue of pure-bred Whippets. We have volunteers all across the continental United States, Alaska and Hawaii. Our volunteers are compassionate, caring, generous individuals who donate their time to further the safety of our beloved breed. As a result of their efforts, there are very few Whippets in rescue and there is always a waiting list for adoptable dogs. Fill out the adoption application to have first consideration for any dogs that become available. 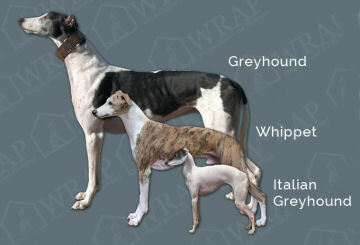 If no rescue whippets are available in your area you may want to browse the American Whippet Club’s listing of reputable member-breeders located throughout the country.